Rest is a commission by BBC Newsnight and is a Southbank Centre production. Rest can be found on the steps leading up to The Royal Festival Hall café from the Riverside. Central London. 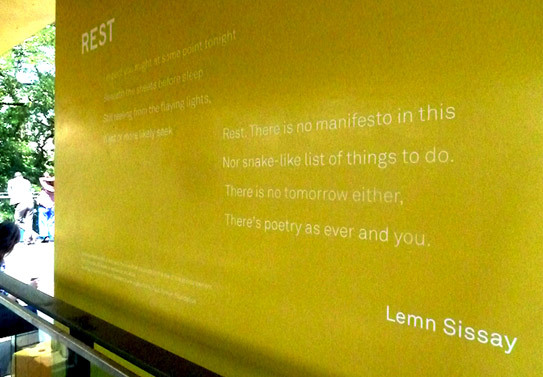 Rest was written on the eve of the appointment of the new poet laureate Carol Ann Duffy. BBC newsnight asked various poets for their manifesto to her. But Sissay had no manifesto for the new poet Laureate.